Welcome back to Feature Friday Linky Party!!!! I’m your co-host, along with Brooke from Bye, Comparison. And we are SO excited to share with you our features for this week, and start a new party! This week I added some new pictures of my updated entryway. and Brooke reminded us that no one is perfect, and we’re real people, and projects are only 80% finished 90% of the time. But I do still LOVE that little built in bench area! 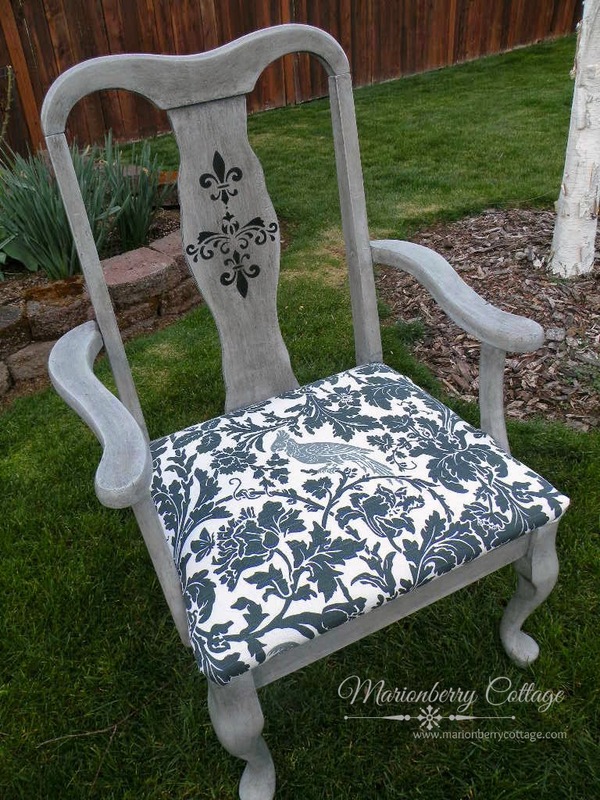 Debbie from Marionberry Cottage had such an inspirational project. I already have a thing for making over chairs. It’s a huge impact and a relatively easy project. But Debbie fixes them up and then gives them to a charity auction. So awesome! Thank you Debbie for sharing! Valerie from Occasionally Crafty has me itching to start on my bathroom with her seriously so amazing gel stain vanity makeover. We had so many awesome entries, but unfortunately I had to pass on featuring some of them. 🙁 We want to feature YOU, we want to show some blog love & get the word out and share awesome ideas and meet awesome people . That’s what this link party is all about! How do we get the word out?? We have to share, share, share! When you add a project to the link party SHOUT IT FROM THE ROOFTOPS! 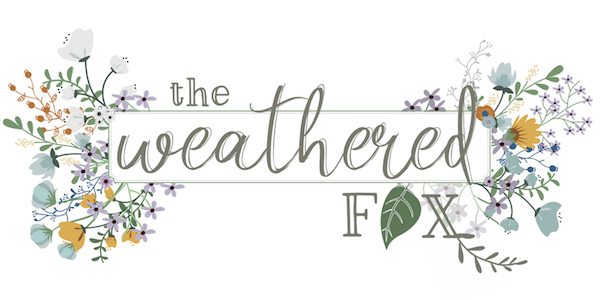 The more you share, the more exposure you get, and the more bloggy friends you make! So make sure to share that you partied with us on Facebook, Twitter, Pinterest is huge. Check out other people’s work and make some friends! And please make sure to link back with us so other people can get in on it too! If you need help with any of that, let us know! we’d be happy to help! Grab our Party Button Here! Thanks Crystal for hosting your party, its always nice to see great features!! Thanks for linking up! I think I may head over to yours and link up too! 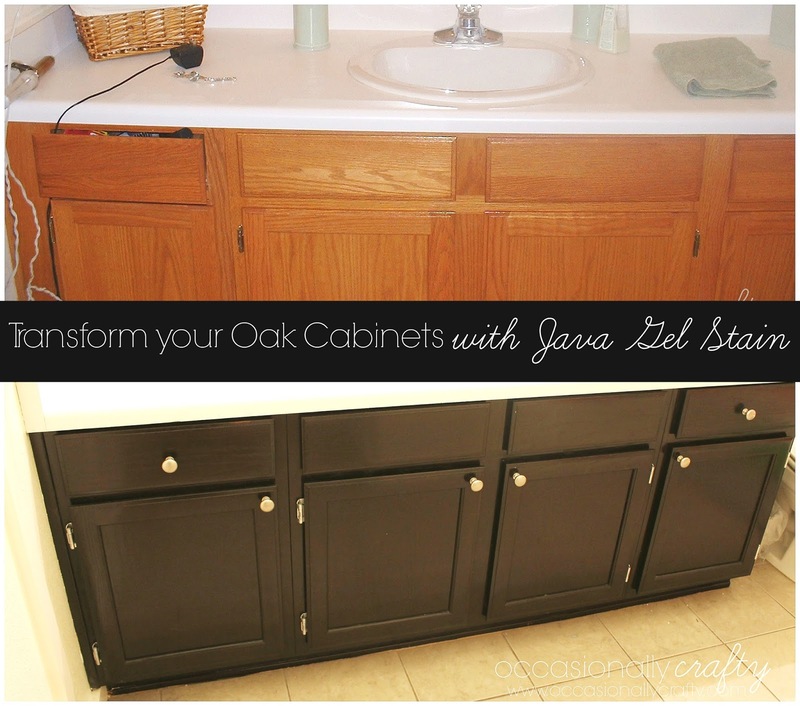 Thanks so much for featuring my bathroom cabinet makeover! Can’t wait to stop by later to see what inspiration others link up! You are so welcome Valerie! Thanks for joining the party!